Every city has its own rhythm, its own beat and character; none more so than Barcelona. 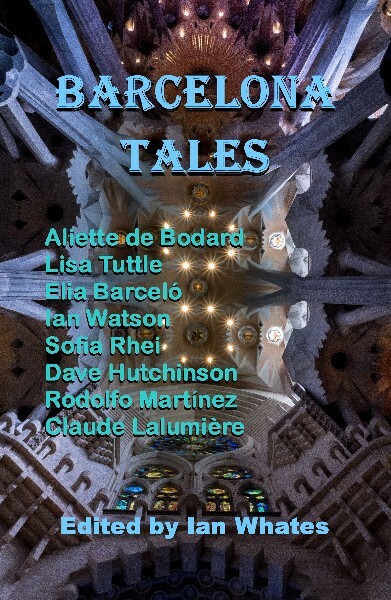 To commemorate the 2016 European Science Fiction Convention being held in this historic city, NewCon Press invited some of Spain's top SF and fantasy authors to write original stories set in or about Barcelona. Their stories are presented here alongside those of other author more familiar to an English speaking audience. Open the book's cover and discover another world, where wonder, beauty and dread hold sway; discover Barcelona as you have never seen it before. All stories are in English. Twelve stories original to this collection plus one classic reprint. The book is available as an A5 paperback [the signed limited edition hardback has sold out].